Nederlands: Voor onze Nederlands sprekende bezoekers: als u rechtsbovenaan "Nederlands" klikt dan heeft u de site in het Nederlands. This is the year when we commemorate 100 years from the beginning of the First World War. Also 95 years ago the Serbian soldiers from the WWI died of the Spanish flu in the Netherlands. They reached the Netherlands on their way home after the war. This is the month when we commemorate those Serbian victims of the Spanish flu in the Netherlands. The 5th of October a remembrance service was held in Garderen (the Netherlands) for the Serbian World War I soldiers who died in the Netherlands. THE HAGUE / BELGRADE - Recent research has shown that the remains of 89 Serb prisoners of war who died in the Netherlands in 1919 are in a Serbian mausoleum in Jindřichovice near Karlovy Vary in the Czech Republic. Most of these 89 Serb prisoners of war who came early in 1919 in various transit camps throughout the Netherlands died due to the Spanish flu. They were temporarily taken on their way home through the port of Rotterdam, after the First World War. Some of them already achieved to reach neutral Netherlands before the end of the war. In total, more than 4,000 Serbs return home via the Netherlands. They came from concentration and internment camps in which they were held as prisoners of war in Germany. 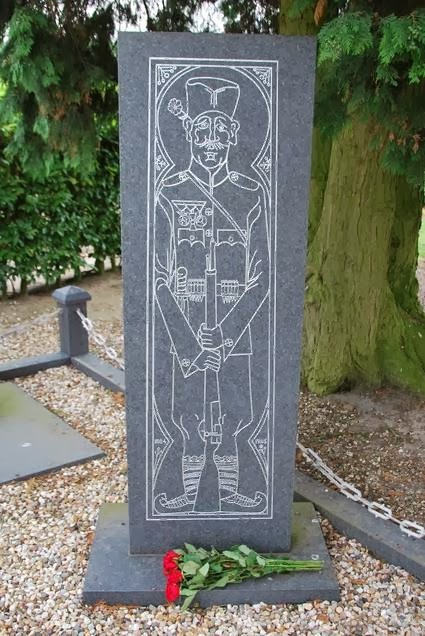 In the Netherlands a total of 92 Serbian soldiers deceased between 1917 and 1919 and they were buried in 9 cemeteries. After the war, the government in Belgrade decided to concentrate their war victims on a limited number of places in Europe. The remains were exhumed and put in coffins and put together in mausoleums. Thus, plans were made for the 89 Serbian war graves in the Netherlands that they should be exhumed and transferred. Until recently, the trail of those Serbian war graves ended in Wyler, near Nijmegen, where the lead coffins with destination "Czechoslovakia" were transferred to the German authorities on May 18, 1938. The explanatory memorandum for the budget for 1940/41 from the war department of the Ministry of Justice of the Kingdom of Yugoslavia was discovered at the end of April in the Archives of Yugoslavia in Belgrade. Here, it was written that the remains were then transferred to a mausoleum that was built near the former Austrian camp Heinrischgrün in Bohemia in 1924. 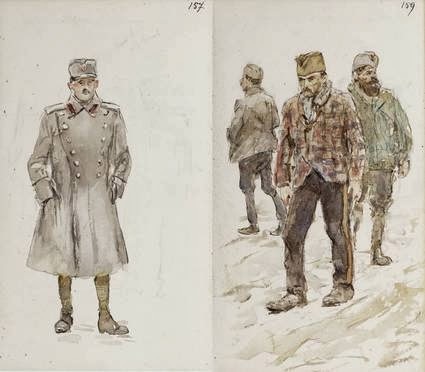 In that camp were mostly Serbian and Russian prisoners of war who were engaged in mining. In addition, thousands were killed. 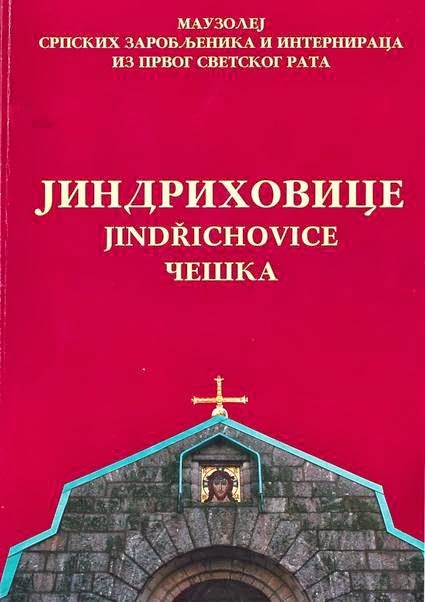 The mausoleum, in what is now called Jindřichovice is located in the Czech Republic, was restored in 1996 and is accessible to the public upon request. Until 1940, the remains of 7470 Serbs and 189 Russians were put here. The originally from Netherlands lead coffins are identified by the numbers 1 untill 89. 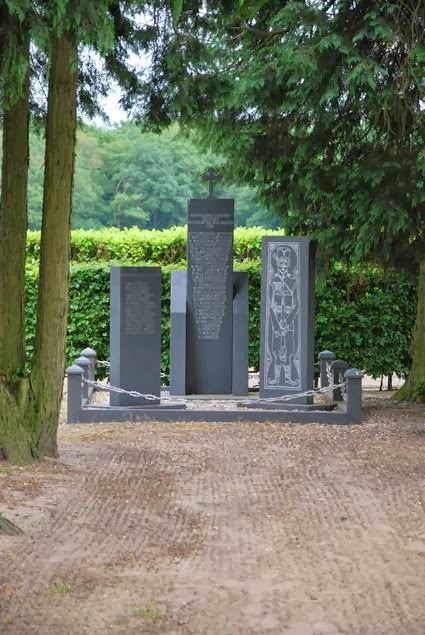 The Serbian prisoners of war who deceased in the Netherlands are commemorated every first Saturday of October at the Serbian Cemetery monument on Craatshof in Garderen. Before the Second World War, there was a memorial for the Serbian prisoners of war who died in the camp near Milligen.